Now in paperback, Mrs Moneypenny's Careers Advice for Ambitious Women gives the last word on careers for real women. It's all about who you know and what you know. You can't have it all, but you have to do it all. Saying 'no' is the single most important life skill for women. 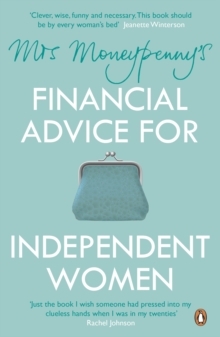 Welcome to the world of Mrs Moneypenny. This high-flying, super-connected, super-woman is on a mission: to help you get ahead at work. 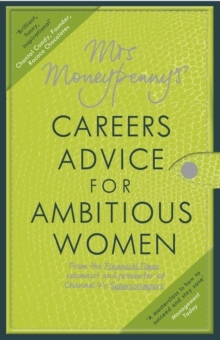 In this incisive, hilariously frank book, Mrs Moneypenny tells you everything you need to know, from nurturing your network to the art of outsourcing. Whether you're just starting out or a rung from the top, let Mrs Moneypenny be your ultimate mentor. 'Ambitious or not this book will amuse you, provoke you, challenge you, help you and cheer you up'Jeanette Winterson' The Times'A masterclass in how to succeed and stay sane... incisive, self-deprecating and hilarious' Management Today 'This wisdom-filled guide obliterates the myth that women can "have it all"... and redefines success and happiness for everyone' Arianna Huffington, President and Editor-in-Chief of The Huffington PostFor 12 years Mrs Moneypenny has been entertaining readers of the Financial Times with her views on everything from Wellington boots to waxing. She runs her own business while juggling three children (Cost Centres 1, 2 and 3) and a sports-obsessed husband. She has acquired a large mortgage, several academic degrees of varying uselessness, and a passion for shooting innocent birds. She presents the Channel 4 series 'Superscrimpers', and the Mrs Moneypenny show has run at the Edinburgh Fringe, off-Broadway and the Hay Festival. Heather McGregor is a leading London headhunter. She owns and runs Taylor Bennett, the executive search firm, chairs the educational charity Career Academies UK and is a founding member of the Steering Committee of the 30% Club.